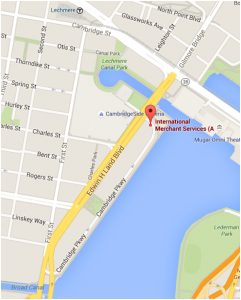 Saturday, April 20, 2019 – 11:00 AM – LEAVE PLENTY OF TIME TO FIND US! 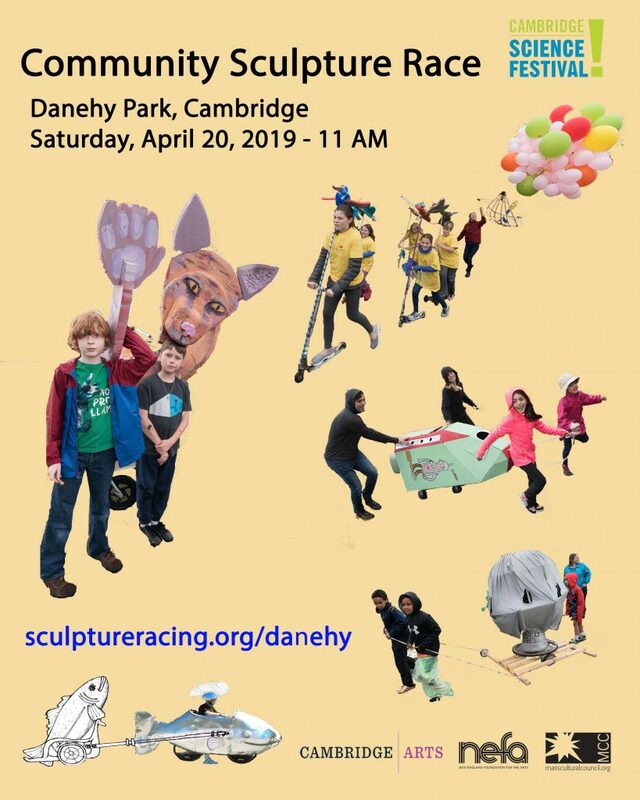 This is a Cambridge Science Festival Event, a 4/10 mile race of wheeled arts and crafts on the loopy sidewalks around the Olympic soccer field at Danehy Park in northwest Cambridge (near Alewife), followed by an exhibition of works until 2 PM. The race is followed by an exhibition of works lasting until 2 PM. There will be an artist/engineer design table at the exhibition where fans of all ages can contribute a conceptual design for a racing sculpture. Here’s a link to more information about entering. Here are images of 2017’s race. Here are images of the first, 2016, race. Racecourse at Danehy Park. Green marker in the earthview view above is the location of starting (and ending) line. The exhibition area in on the hill to immediately to the northwest of the marker (on the course). NEW Application/Design due date: Sunday, March 24, midnight. 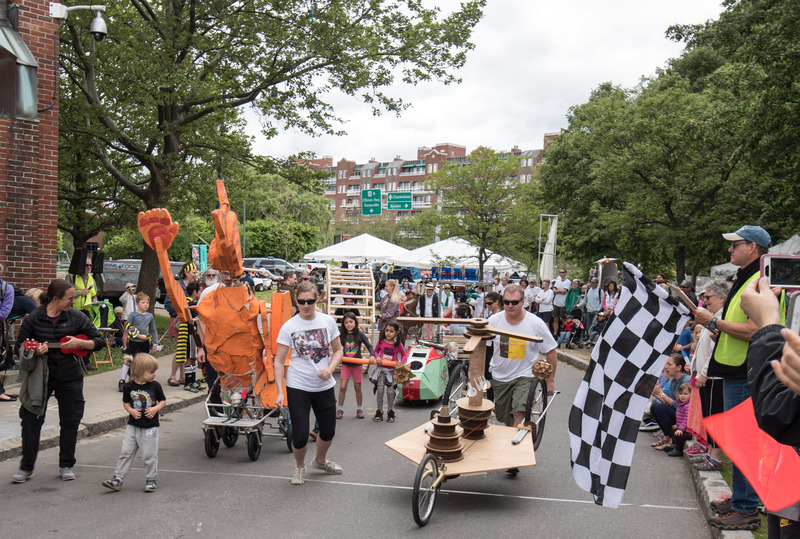 This is a ¾ mile juried race of pushed, pulled, or pedaled sculpture with a following daylong exhibition at the Cambridge Arts River Festival. The festival is an annual celebration with 150,000–200,000 festival-goers. 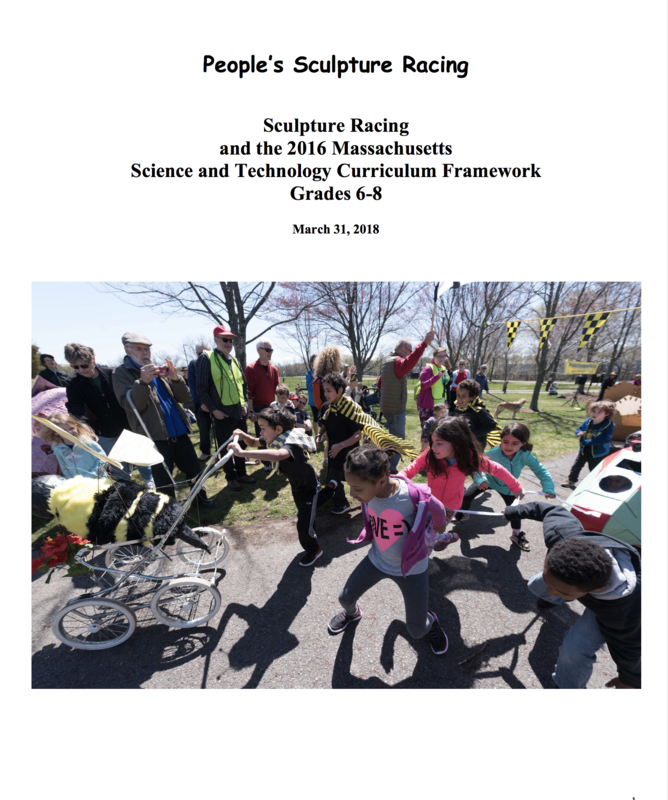 Participants have the opportunity to join in a spectacular, well-attended event, and exhibit their work publicly on Race Day and on the PSR site, and become part of the sculpture racing community. 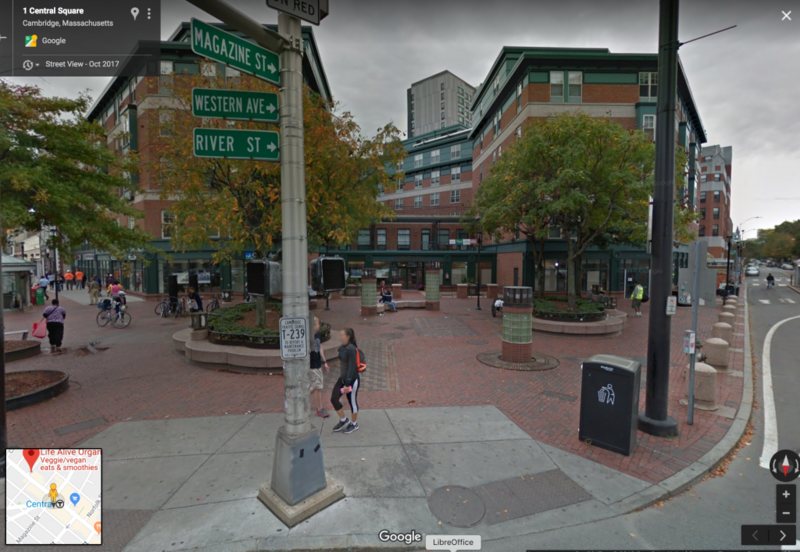 The Exhibition site will be at Carl F. Barron Plaza in Central Square, and the racecourse will run for most of its length along Massachusetts Ave.
Email proposals, title, images of proposed and past work, short bio, contact info by March 24 to sculptureracing@gmail.com. Jurying takes place early the following week. The three jurors–Reid Drum, kinetic artist in the 3D Department at Mass Art and two other jurors TBA–will judge work on the basis of quality, originality, fidelity to guidelines, practicality, & entrants’ demonstrated capacity to complete the project. Notifications within a week. Works need not be completed until RACEDAY. Introducing the jurors for the June 1 2019 River Festival race: John Weidman, Mags Harries, and Reid Drum. John Weidman in the Andres Institute’s workshop. 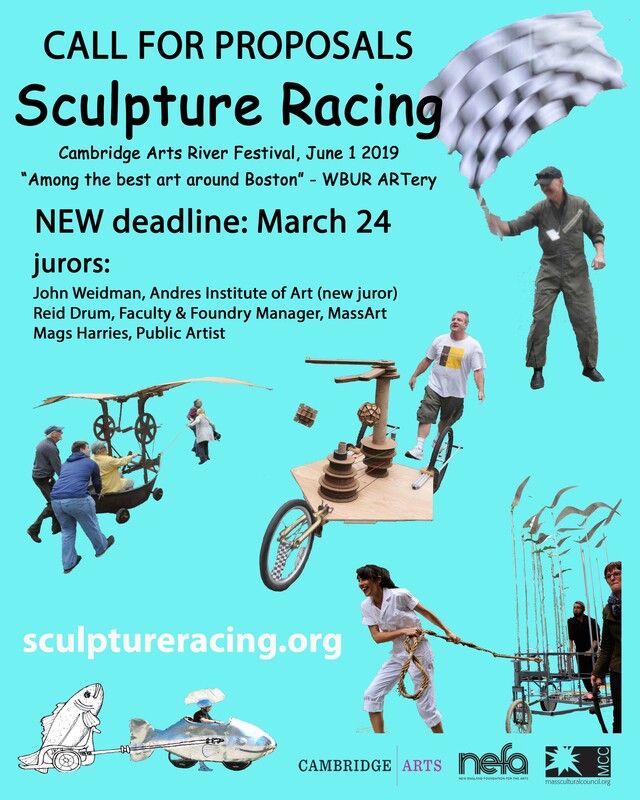 John Weidman is one of the original members of the World Sculpture Racing Society, a working sculptor, and the co-founder and director of the Andres Institute of Art and Sculpture Garden in Brookline, NH. The sculpture garden, which magically covers a small mountain, is the largest in New England. 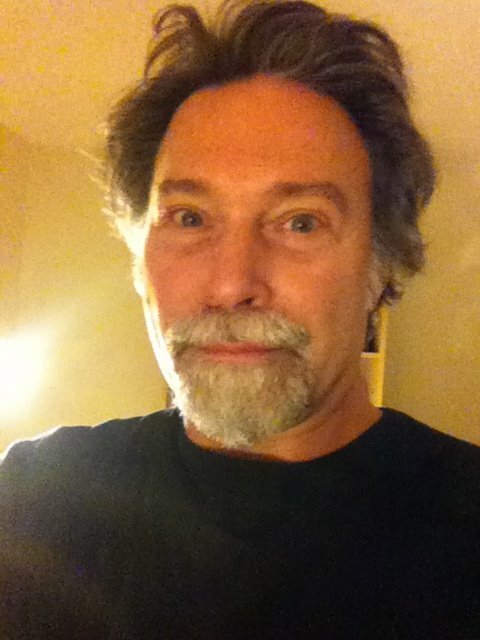 John’s website. Mags Harries was a juror in the inaugural 2015 race. 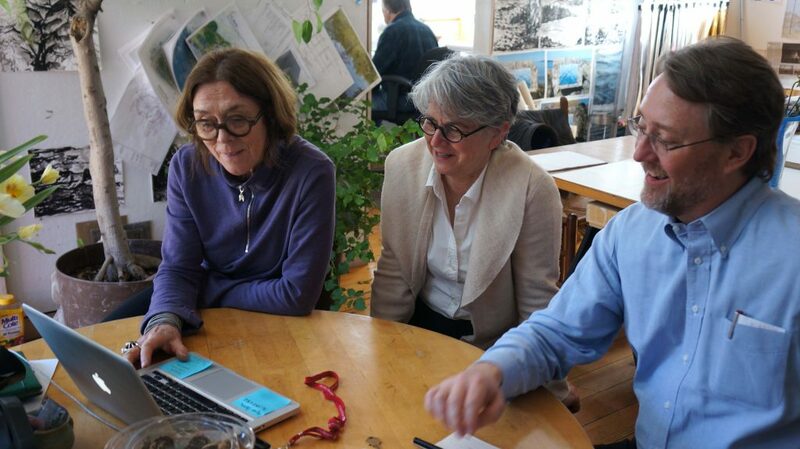 Here she is (leftmost) with Laura Knott and Nick Capasso reviewing entries. 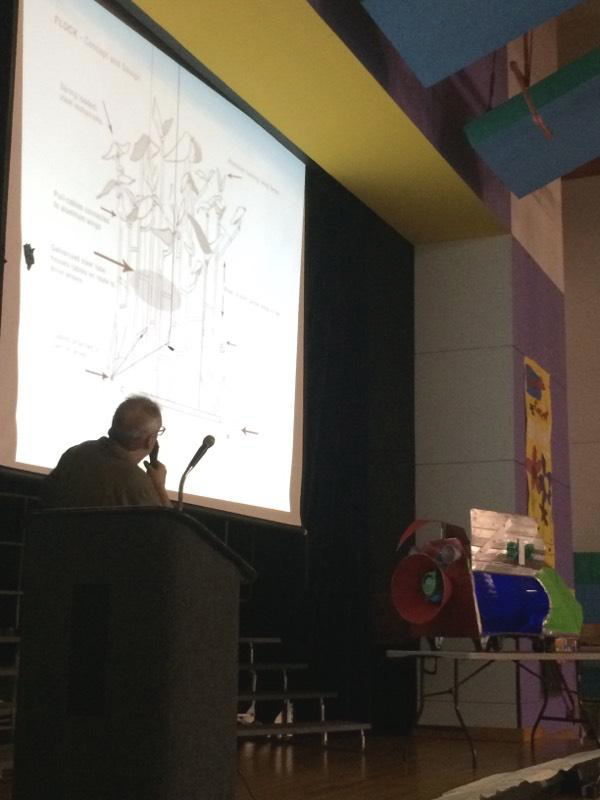 Mags Harries’ public art projects have received national recognition and won many awards. 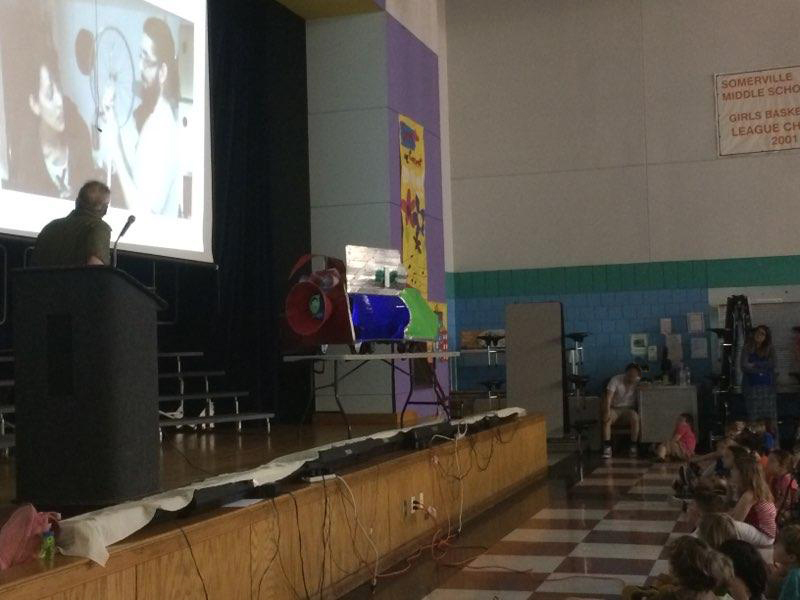 Her early projects Asaroton and Glove Cycle have become icons of the Boston area. 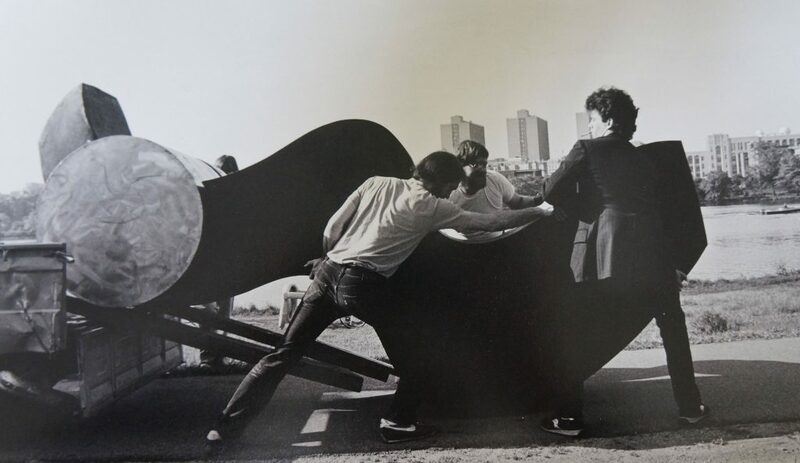 Many of her temporary projects involve community participation and social action, including: Winding Down the Charles, Speed of Light, and One Legged Table. She is an active member of the Boston Sculpture Gallery and teaches at the School of the Museum of Fine Arts. 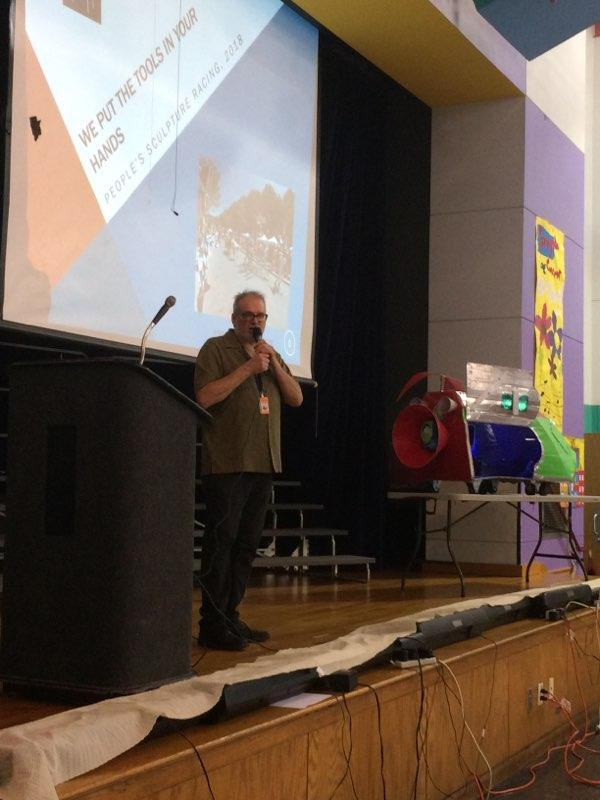 Mags was a juror for our premiere River Festival race in June 2015 Mags’ website. 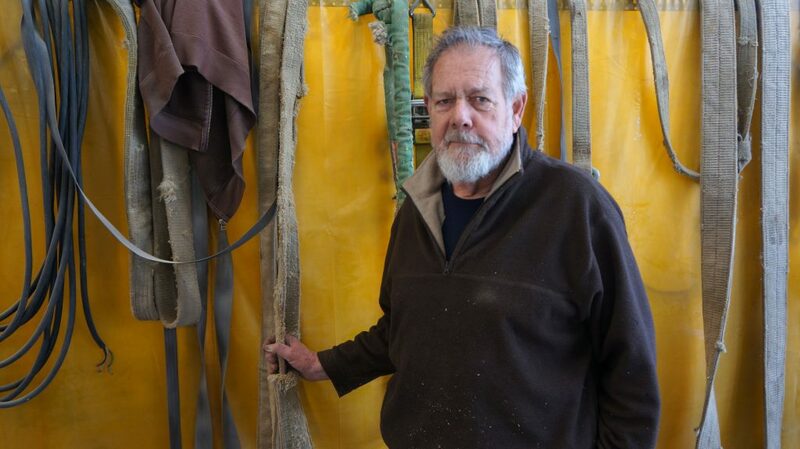 Reid Drum is a faculty member of MassArt, and runs its industrial-scale, 11,000 s.f. foundry. 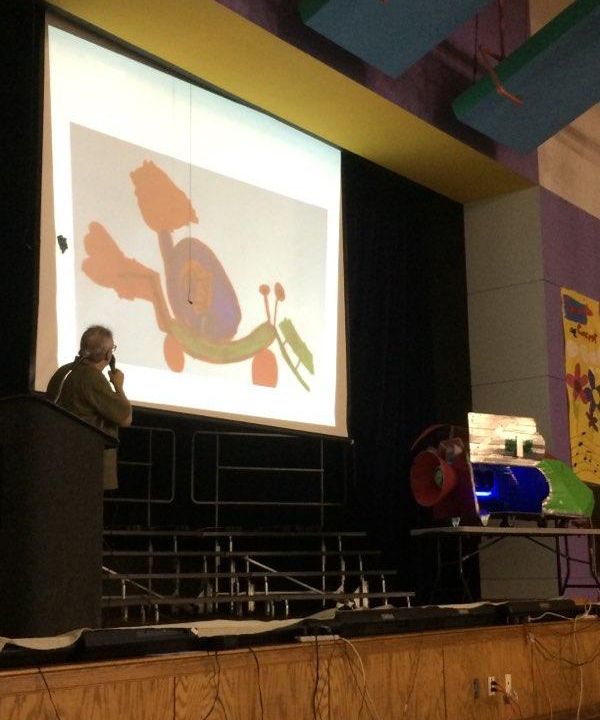 He is a kinetic artist, and teaches classes in kinetic art, the design and construction of metal sculpture, and general 3D art. 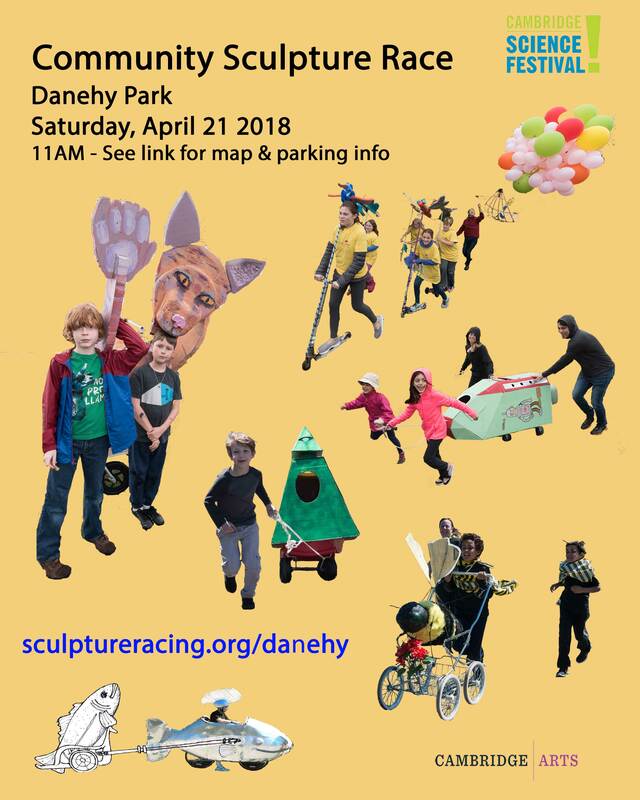 Give yourself plenty of time to orient yourself and make your way to the Sculpture Garden and Cambridge Parkway. Come one, come all! New entries still accepted!